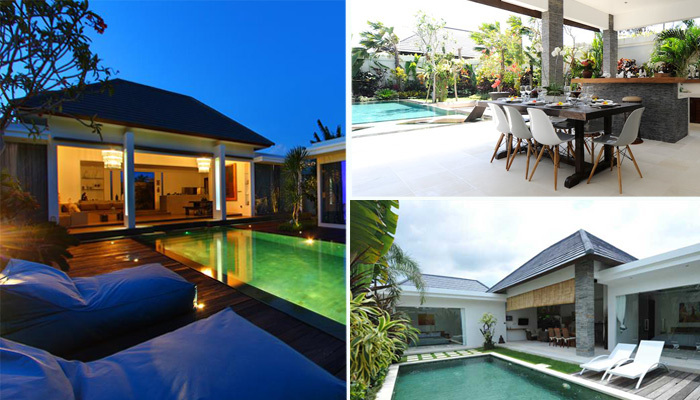 Complex Cendana, composed of Villa Kalamansi & Villa Gallci offers 7 bedrooms, perfect for a group holidays! 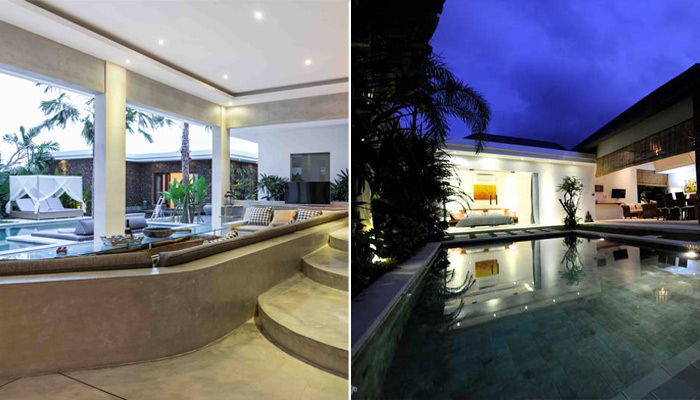 This vacation rental is located in central Seminyak, the seaside resort of Bali, in the famous area of Oberoi known for its trendy boutiques and restaurants, and the beach 500 is meters away. Eclecticism is omnipresent in this villa. You can find it in the fusion of traditional and modern architectural styles, but also in furniture such like the Louis XV style chairs painted with bright colors. The architect has favored the light by integrating large windows. The living room by which you enter the villa is bathed by the light and opens onto the lush tropical garden and the beautiful blue pool. This building also houses the fully equipped kitchen made of anthracite granite. All 4 cozy and harmonious bedrooms have air conditioning and en-suite bathrooms. The first one is at the entrance, two are at the end of the garden, while the fourth one is situated upstairs in a Lumbung (traditional Balinese rice loft). The villa staff will be the icing on the cake to ensure you a memorable stay in the enchanting setting of your Balinese holiday home. This luxury house has been built and furnished with high quality materials. Its floor covered with a beautiful beige marble, will give you a feeling of freshness in the tropical Balinese climate. Your holiday home consists of 3 beautiful bedrooms with en-suite bathrooms. A spacious living area next to the tropical garden waits for you to relax, have dinner or cook if you wish. Just nxt to it, you have a private air-conditioned TV room to enjoy a movie, listen to music or just to chill out. If necessary, the room can also be used as an extra bedroom for a child. 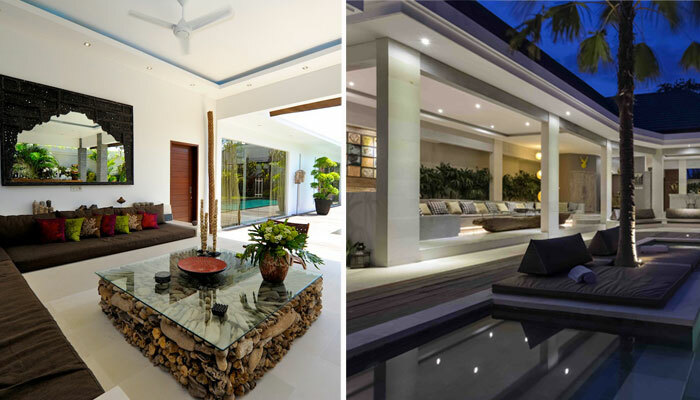 At the center of this comfy villa, the pool is surrounded with lush garden. Next to it, on the deck, the sun loungers are available if you want to sunbathe under the sun, drink juice or an exotic cocktail. You have review for Villa complexe-cendana-bali?